Derek Butcher 07/10. Alan Phythian 07/10, 70cm overall. 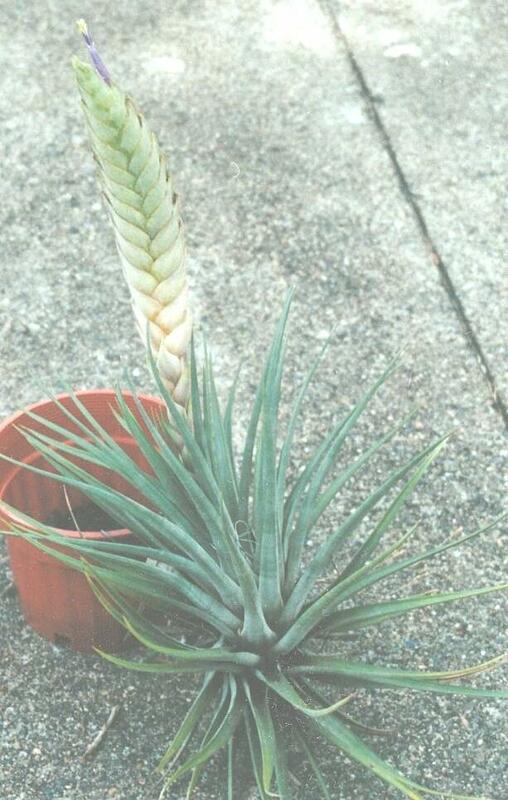 Name given by Peter Tristram to a plant that Nev Ryan got as an unnamed plant from PineGrove Nursery, NSW in the 1990’s. A check of the records held by this nursery has failed to give any leads as to how it got to Australia. It does have some link to T. beutelspacheri but the floral bracts are totally covered by white trichomes in the visible part. This species is very variable if based on collections made in the area of Sumidero Canyon, so it seems better to give it a cultivar name. The spike or spikes can be 30cm long and 5cm wide. 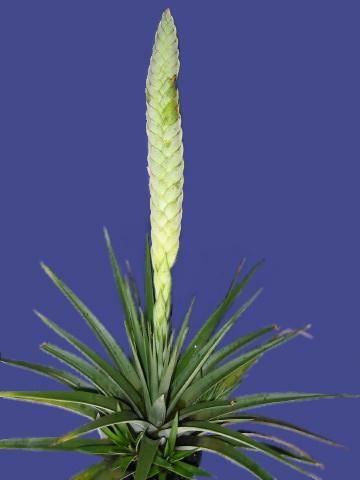 Typical sub-genus Tillandsia tubular flowers bluish, well exceeding the floral bracts. 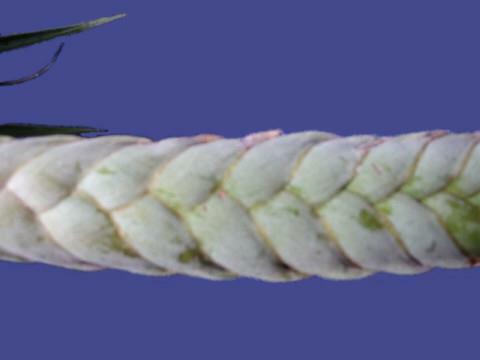 Many Australians seem to be growing offsets of this rather distinctive plant."